Are nasal polyps obstructing your breathing or dulling your sense of taste & smell? 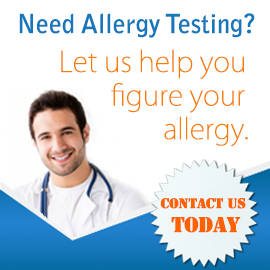 Contact your allergist for help. Nasal polyps are noncancerous growths that can develop on the lining of the sinuses and nasal passages when these tissues are inflamed for prolonged periods. Normally, nasal polyps are harmless, but if the growths become large enough they may begin to block the nasal passages, causing breathing problems, frequent sinus infections, or a reduction in the ability to smell or taste. Because nasal polyps are frequently found in individuals who also suffer from asthma, allergies, chronic sinusitis, or certain immune deficiency disorders, it is highly recommended to see an allergist for treatment of nasal polyps. An expert physician can normally detect nasal polyps with a simple visual examination. This may be done with the assistance of a rhinoscopy, which will enable your allergist to directly view the nasal passages to look for nasal polyps. When you come to Allergy, Asthma, & Immunology Medical Group, we will not only diagnose your nasal polyps, but also run tests to diagnose the underlying cause of the inflammation that has led to the formation of those polyps. One of the first things we can do to treat nasal polyps is to prescribe a corticosteroid nasal spray to reduce inflammation and try to shrink the polyps. Sometimes, oral steroids can be tried. However, if your polyps do not respond to treatment but instead continue to cause breathing problems, we may recommend surgery. We can also offer medications and advice targeted towards the underlying conditions causing inflammation, and allergy shots to control any allergy triggers. Ready to eliminate nasal polyps and breathe easier? 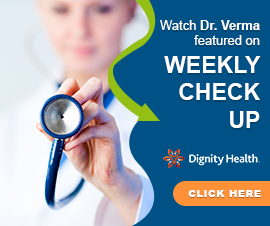 Contact us now to schedule an appointment at one of our three medical offices.